There's no argument that a mic is the best way to capture the sound of an acoustic guitar, but until now, using a mic for most live performances has been an elusive dream. Lyric, the next step in TruMic technology, is the long overdue realization of this dream. 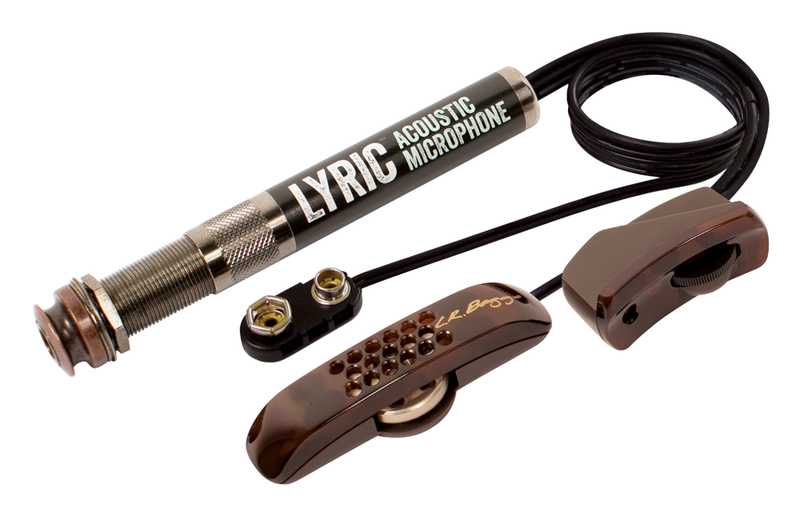 Without a pickup, Lyric's microphone accurately transports your guitar's actual voice to a live audience for the most realistic and inspiring sound you will ever experience. Our featherweight microphone, each high-graded for ideal response, mounts to the underside of the bridge plate with simple peel-&-stick adhesive to preserve the integrity of your instrument. 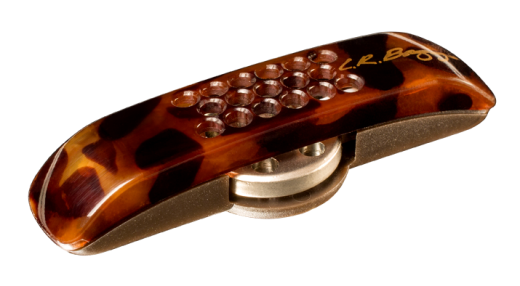 The mic leverages the "pressure-zone" principle by positioning the capsule just 3mm from the surface of the top to hear the entire soundboard for even balance and tone. And the mic's proximity to the top allows high gain before feedback. Unlike other attempts to use an internal mic, Lyric employs noise canceling technology that rejects "boxy" reflections inside of the acoustic chamber. This patent pending minor miracle enables the mic to act as if it were outside of the guitar delivering a clear and open performance. In a studio, you would have to use an entire rack of gear to achieve what we have built into Lyric's tiny circuit board. Our lead engineer, Tommy Linn, created several patent pending "black box" circuit innovations that unlock the potential of the microphone. The first tightens the lower frequencies for a punchier attack with natural dynamics. The second maintains the mic's sweetness no matter how hard you play. The third innovation, not patent pending but useful, is an adjustable "presence" control that dials high frequency response perfectly for your guitar. Wrap all of this in all discrete, high-fidelity mic pre and you have a world class microphone system as an integral part of your guitar anywhere you plug in. Worked well, made my guitar sound incredible. Unfortunately something went wrong with it just outside if warranty so now it's useless. I have a high regard for LR Baggs pick-ups and have several guitars that use the Anthem & the iMix systems. However, the Lyric hits it out of the park. I use an AER Compact 60 which gives me complete transperancy and when matched with the Lyric in my Collings D2H & Eastman E10SS all you hear is the natural sound of the guitars. If you want to hear your guitar, just amplified, install the Lyric. I wanted my guitar to sound like itself once amplified. This Lyric mic does just that. It is perfect for my needs. I accompany a quartet in a church setting. A single guitar to fill a whole church and lead a whole congregation in song. A great buy! I installed this pickup into a guitar that took six months to build by hand. After all that time and work, I wanted to be sure I got a pick up that faithfully reproduced the sound I'd worked so hard to get. I can honestly tell you the Lyric does just that, it lets my guitar sound like my guitar. Installation was fairly easy and took just about 30 minutes. Dialling in the presence was a bit fussy, but easy to do. All in all, this is indeed a very nice pickup and does just what it says it does. It is pricey, but still worth every cent. If you've got a nice guitar you want to amplify faithfully, this is for you.